It is as important as ever that we have support so that we may continue to record, preserve, protect, and display our local history, and educate our students and citizens. Click image below for PDF form to print and complete. 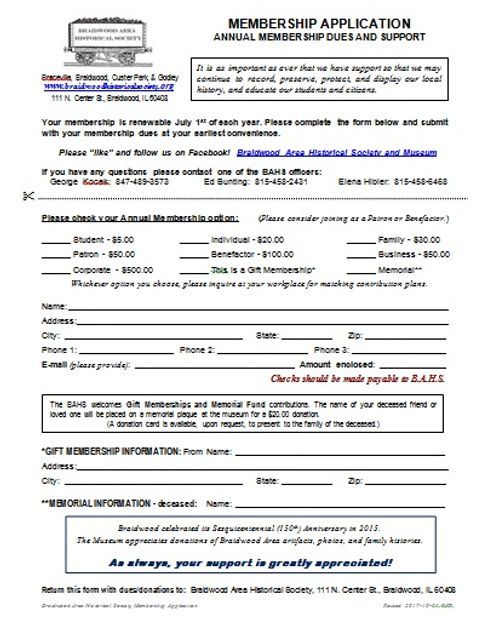 Donations of Braidwood artifacts, documents, photos, and family history are appreciated, as well as your annual membership dues. We gratefully accept monetary donations at any time.